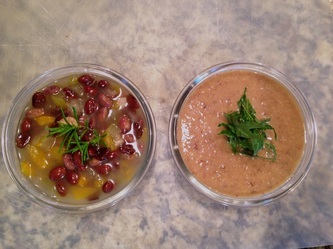 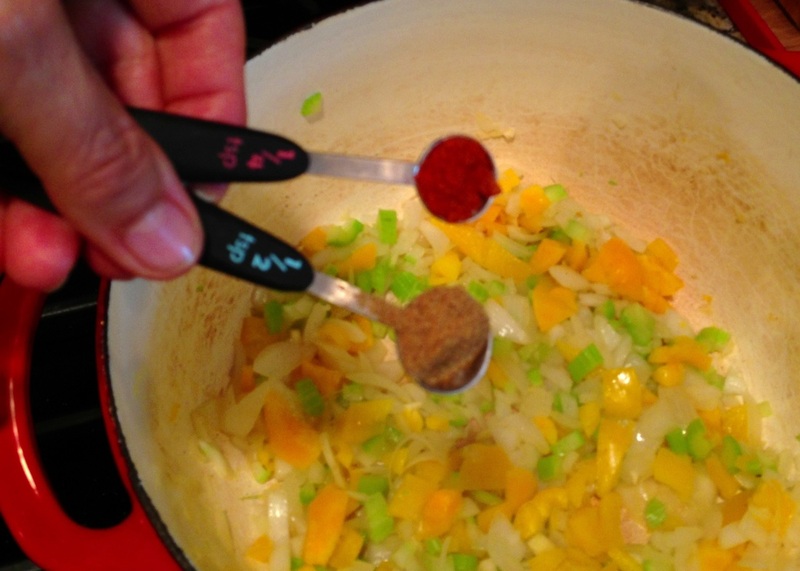 I was thinking about how to make a simple soup from Organic, salt free, black SOY beans. 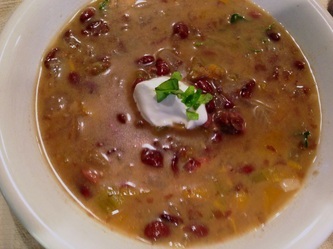 They taste very much like black beans so why not make a soup. 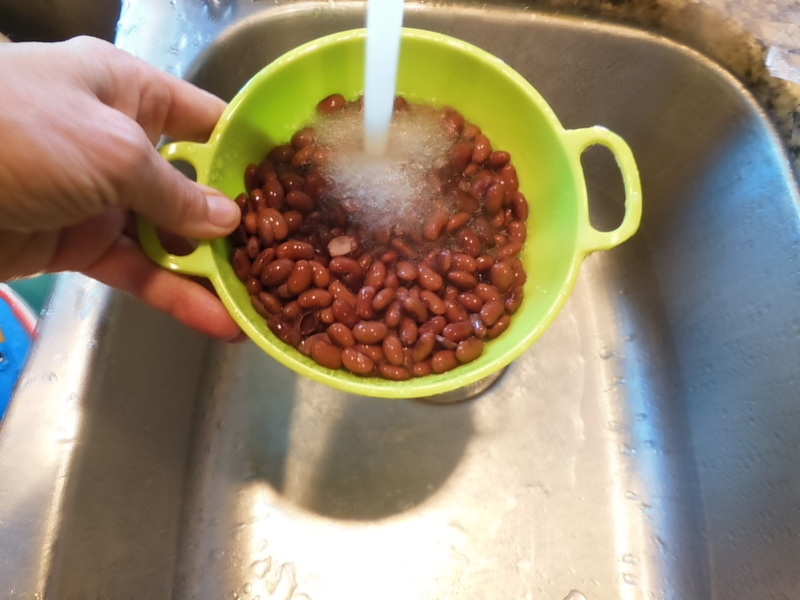 When you are working with ingredients from a can try and find salt free and organic. 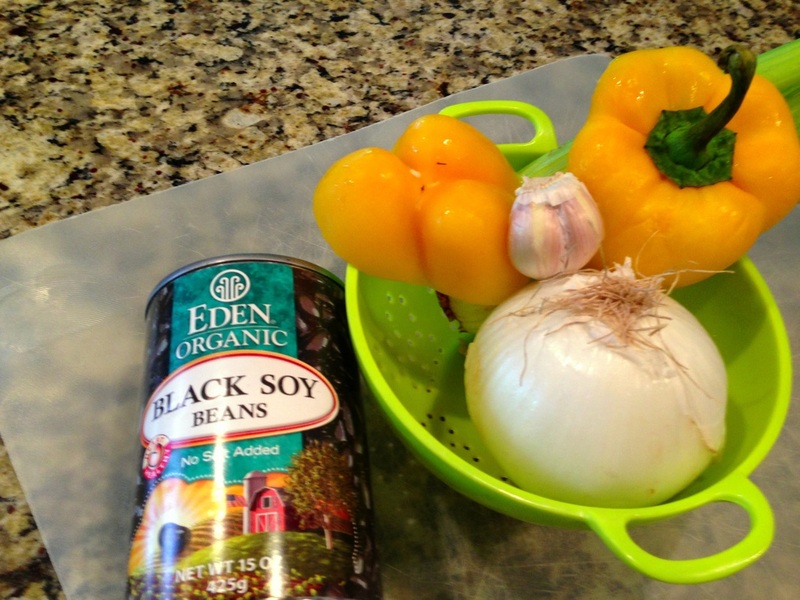 You can find black soy beans in health food grocery stores or on Amazon! If you can't find these beans or if you do not eat a soy diet then go ahead and use regular black beans for this recipe. 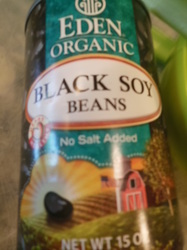 What are BLACK SOY BEANS? They are just another variety of soybean. 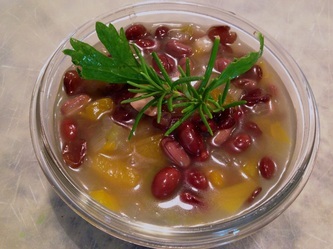 They are vegetarian, low in carbs and nutritionally similar to regular yellow soybeans and also high in fiber. 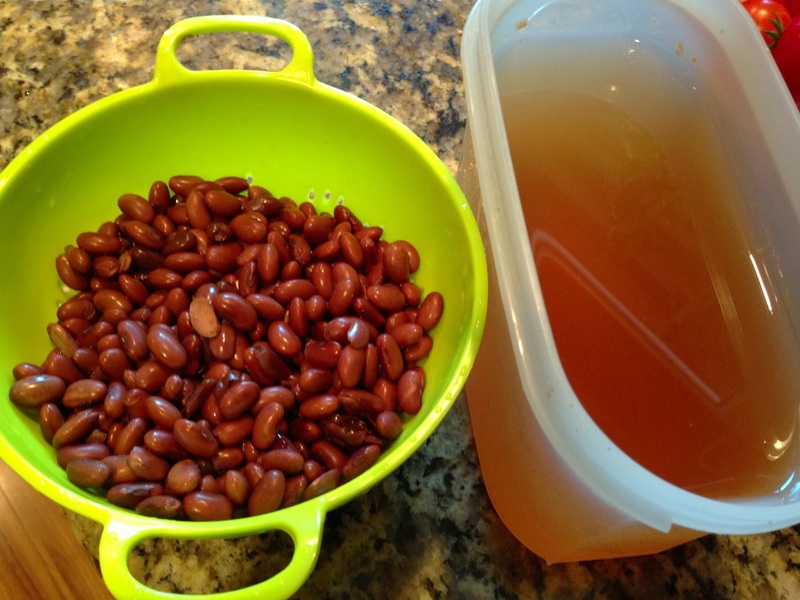 Use them as a substitute for higher carb beans and replace black beans in chili, baked beans, refried beans and of course bean SOUP! 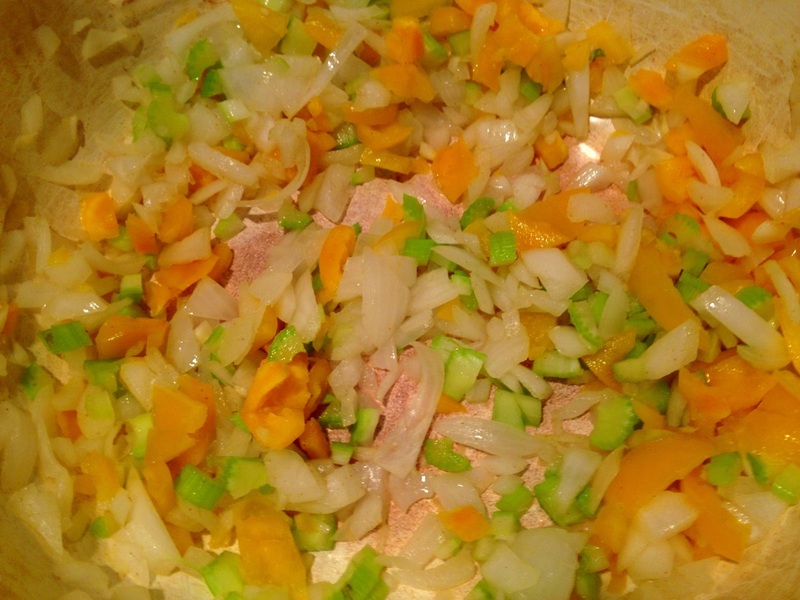 Saute in olive oil onion and garlic 5 minutes. 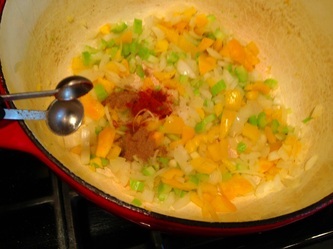 Add pepper and celery, cumin and cayenne and let cook for 5 more minutes. After veggies are translucent or fork tender add beans and stock, salt and pepper. Bring to boil and cover, turn down to a simmer. 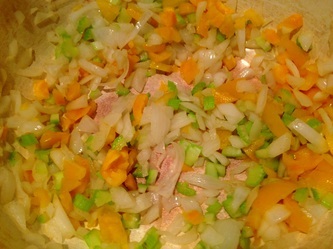 Cook for 35-45 minutes stirring occasionally. 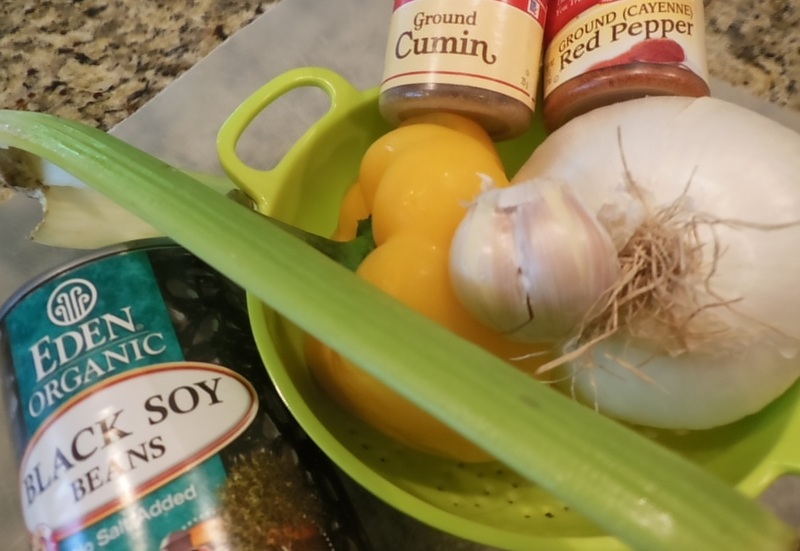 I tried this soup chunky and blended and liked it both ways but my favorite way was to blend half the soup and add it back in to the pot. 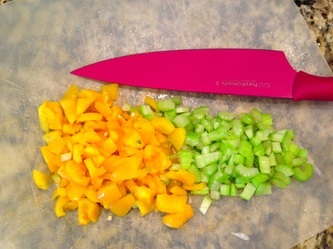 Double the recipe if you are using as an entree.